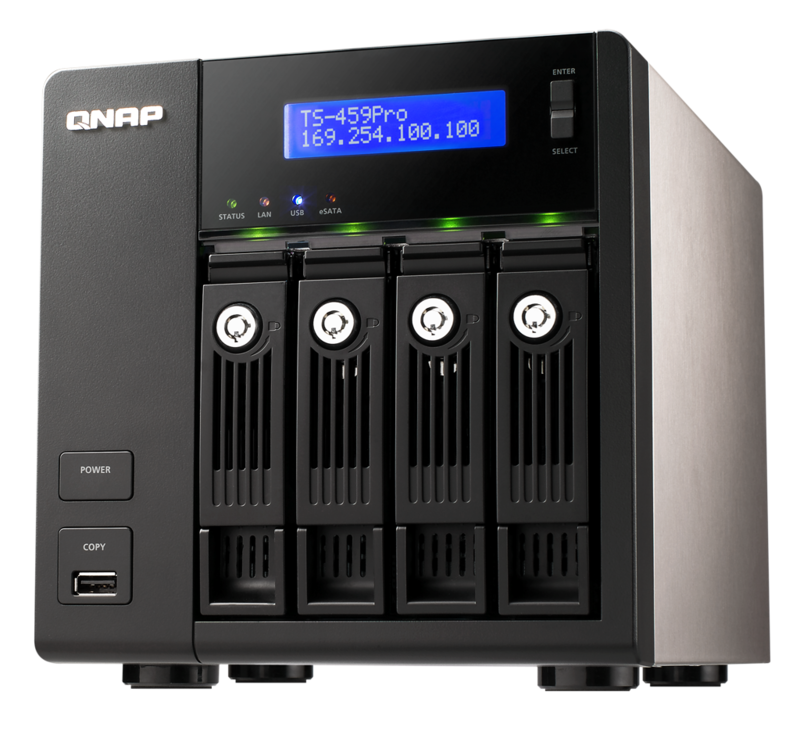 QNAP TurboNAS TS-459 Pro is not only yet another NAS. You can put up to four discs to this small box, put in somewhere in your office below the table and connect it to the network. The rest is on the software. Yes, there are USB ports and VGA output, but the main user interface is provided by the remote access. The two rows LCD display on the front gives you the basic information needed when there are some hardware failures. 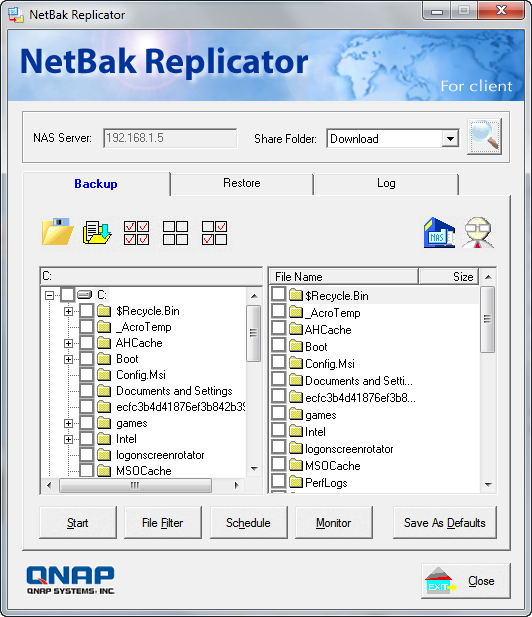 The second software called QGet gives you option to download files from the internet directly to the QNAP TurboNAS TS-459 Pro. So you can shutdown the computer, but this NAS will be downloading the files. 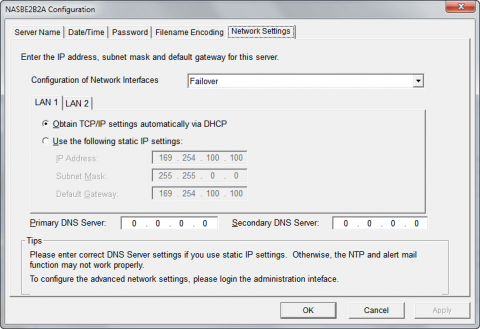 There are HTTP/FTP and BitTorrent protocols supported for this downloading. 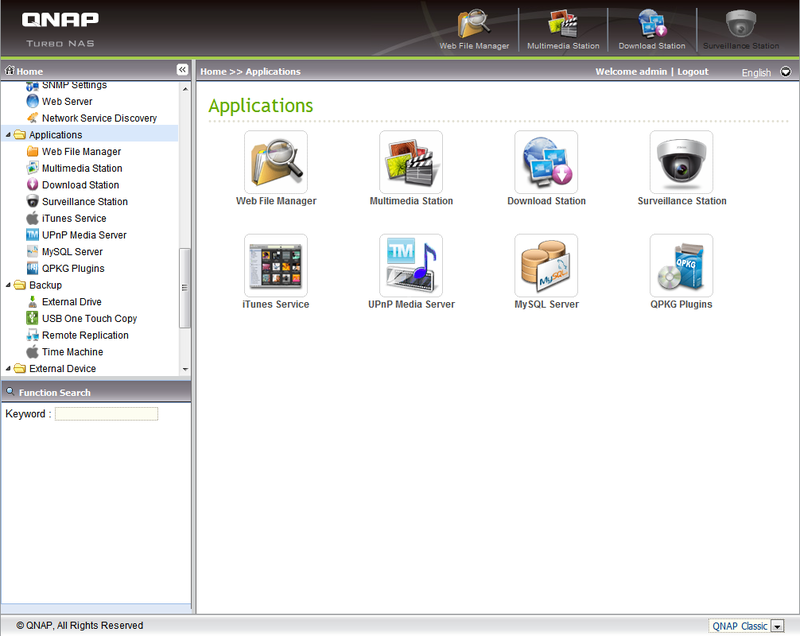 Finally the third software QNAP Finder is something like remote admin tool. You can use it to map network drive from the NAS, restart the server or shut it down, wake it up on LAN, search connected cameras, or update the firmware in QNAP TurboNAS TS-459 Pro. You can also quickly connect the server in Explorer, web browser or FTP client using QNAP Finder tool. The main function is, of course, remote administration. 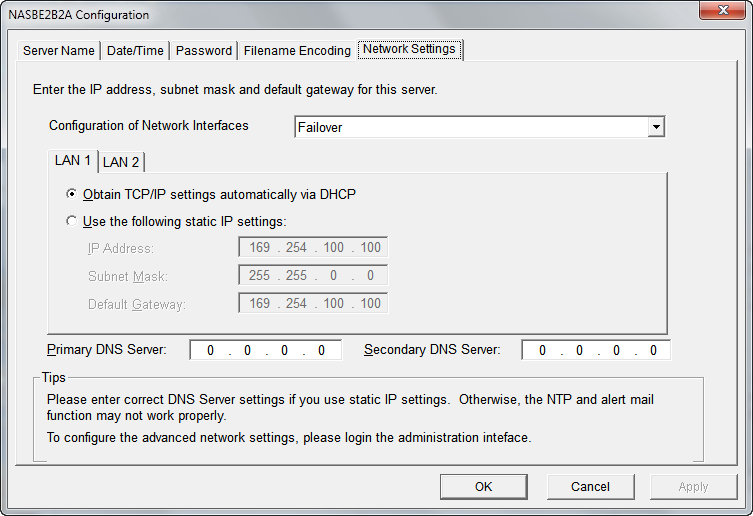 Using QNAP Finder you can set up the date or time in the server, change the password, change the filename encoding, or manually set up the DNS in the server. 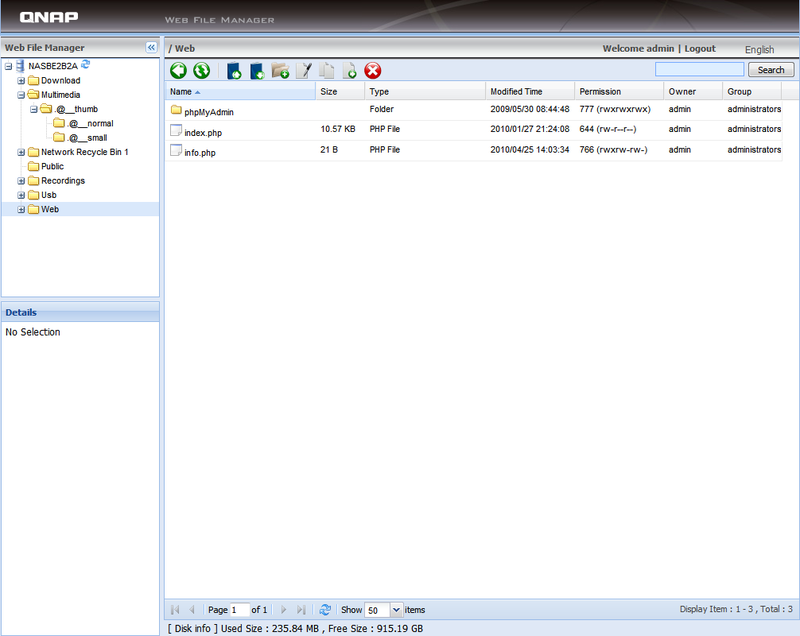 The most of the remote administration you will get after connecting via the web browser (you can launch it from the QNAP Finder). After login to the QNAP TurboNAS TS-459 Pro using the web browser you will see nice administration interface available in many languages including English, Chinese, German and much more. 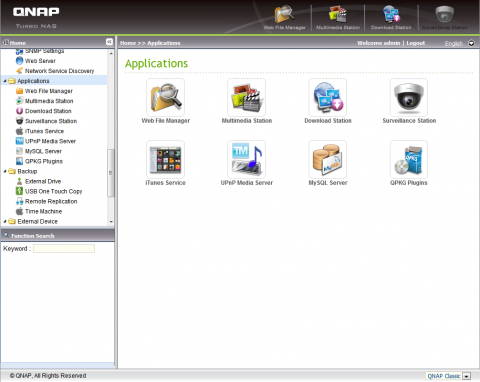 Besides the administration section there are also web server settings and web file manager. It looks very nice, but I prefer access via network drive. If you use QNAP TurboNAS TS-459 Pro as the download or the multimedia stations, you can admin them using the web browser too. The basic features are supported, like pause/stop downloads, add new tasks and more. 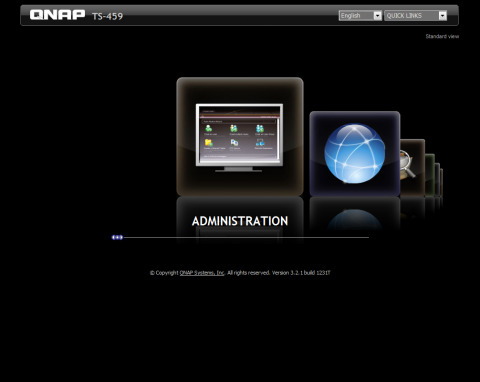 What I really like is option to install new application to the QNAP TurboNAS TS-459 Pro. 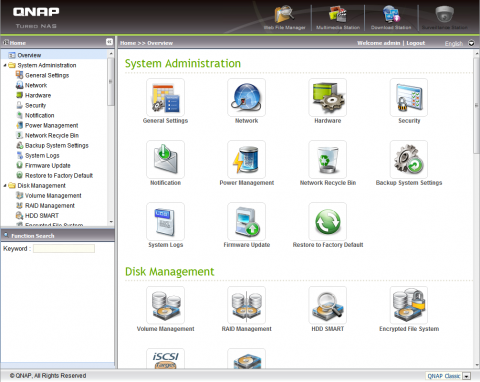 You can add MySQL Server and PhpMyAdmin, so the QNAP TurboNAS TS-459 Pro will be full-featured web server. Yes, this also means, that you can install Joomla, WordPress or another web based application to your QNAP TurboNAS TS-459 Pro. 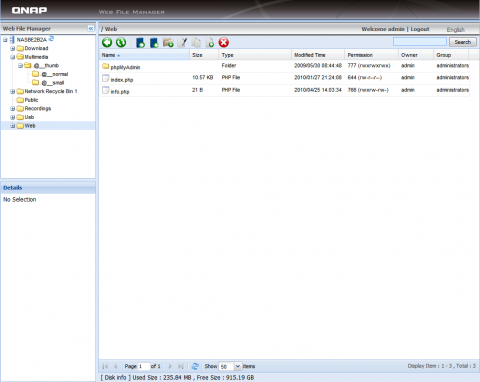 So it can be also ideal for intranet or development server. The tested model of the QNAP TurboNAS TS-459 Pro has 1,66 Inteal Atom D510 CPU, 1 GB RAM and 512 Flash ROM. Maximum disk drives capacity supported is 8 TB (4x 2TB drives). QNAP TurboNAS TS-459 Pro is in my eyes very good piece of hardware. Its versatile features gives you the possibility to use it in many scenarios: NAS, backup station, development web server, download server and much more. More information can be found at QNAP pages.